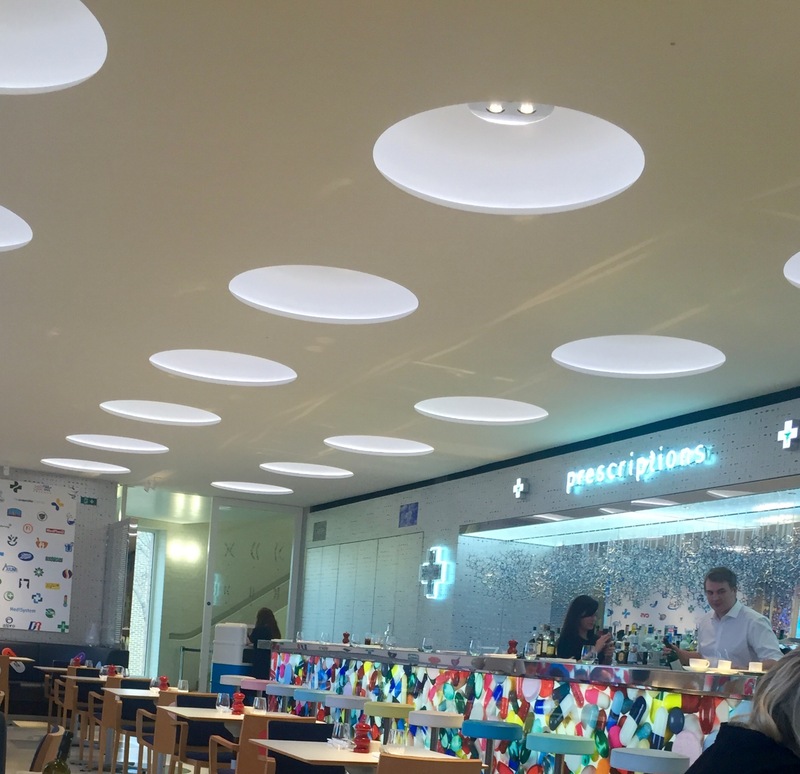 The original Pharmacy restaurant was opened by artist Damien Hirst and PR guru Matthew Freud in Notting Hill in 1998. It soon became a real celebrity hangout with its chemist-inspired decor. 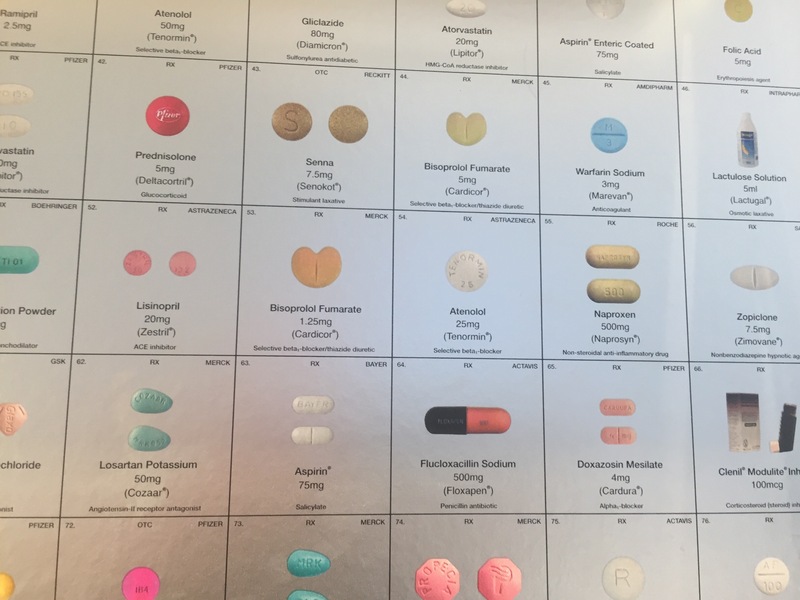 Decor that sparked controversy when the Royal Pharmaceutical Society complained saying its name and the pill bottles on display could confuse people looking for a real pharmacy. The name was then changed twice to Army Chap and Achy Ramp (both anagrams of Pharmacy obviously) until the restaurant closed in 2003. The new offering is part of the Newport Street Gallery in Vauxhall and this time Hirst has launched it in collaboration with renowned chef Mark Hix. The decor is still very chemist-focused with amazing wallpaper, a huge cabinet full of an admirable drug selection (though I’m assuming there’s nothing in the boxes) and the plates show off the lovely Ph2 capsule-shaped logo. All very stylish – the bright, modern room, frankly, looks nothing like any pharmacy I’ve been in. The menu offers classic British and European food and a lot of great British ingredients and the restaurant is open for brunch, lunch and dinner. There’s a snack section from which we couldn’t resist ordering the grilled chorizo with romesco sauce. Romesco is a nut and red-pepper based sauce that originates from Tarragona in Spain. Its wonderful depth of flavour goes perfectly with the smokiness of the plump, juicy baby chorizos. 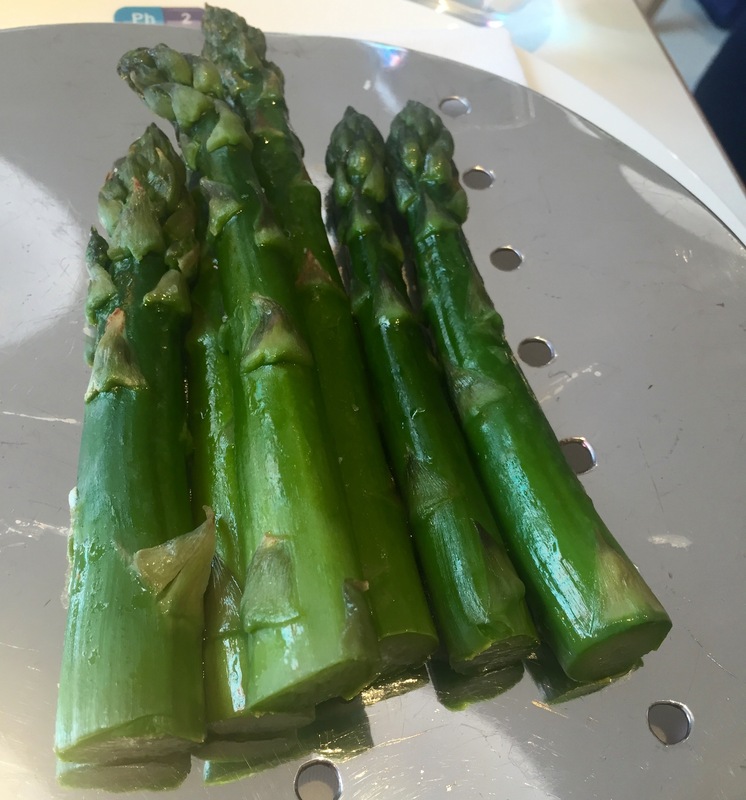 Today there was an asparagus section on the menu. 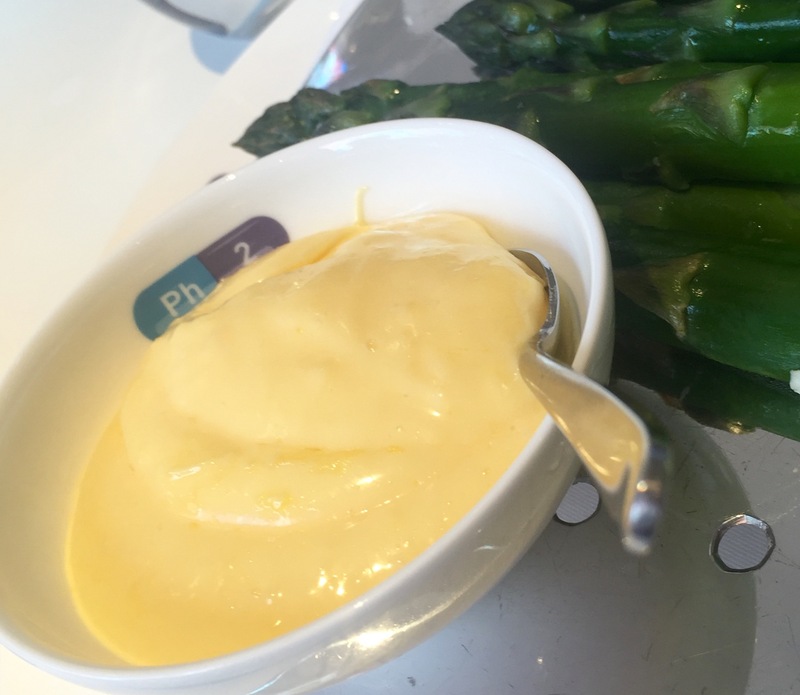 Happy days – I love asparagus – so couldn’t resist ordering the steamed Wye Valley asparagus with Hollandaise. A seriously generous portion of some of the nicest asparagus I’ve ever seen arrived, with the joy of silken, indulgent hollandaise on the side. When this simple starter’s done so perfectly it’s hard to imagine eating anything better. The menu includes some interestingly different options including this crunchy delicacy. 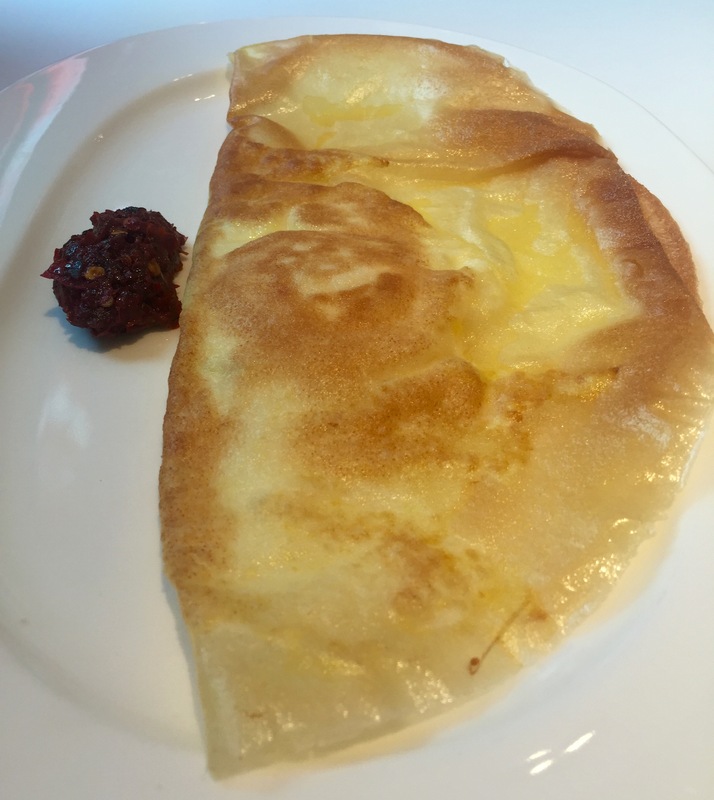 Brik l’oeuf de canard with rose harissa. 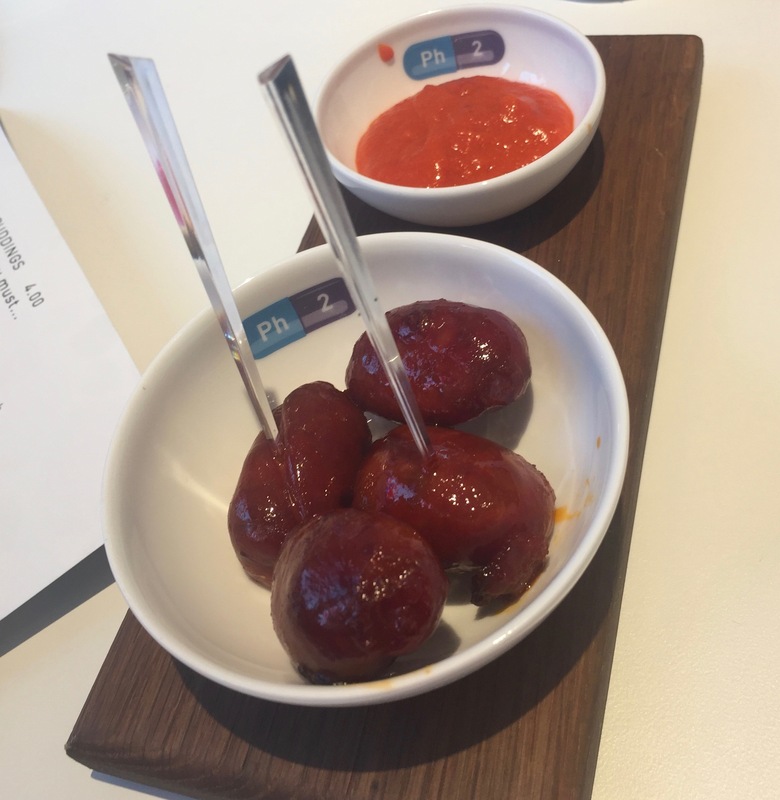 It’s basically a duck egg encased in a crisp pastry envelope and served with a spicy harissa paste. A wonderful combo of different textures and flavours. 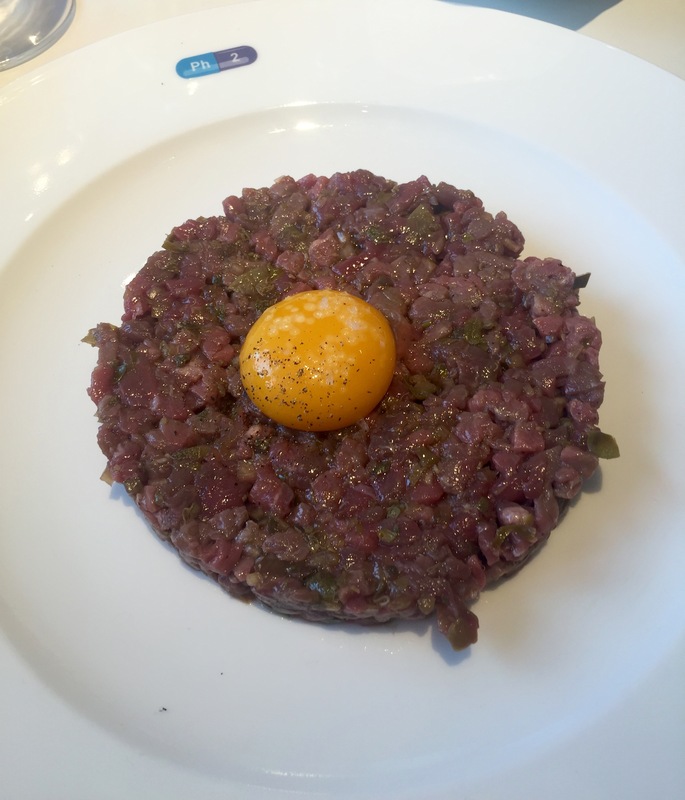 Mains offered the irresistible lure of a steak tartare (well, you could have it either starter or main size). 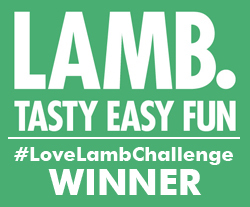 Tender, flavoursome and luscious served with the yellowest of yolks atop. 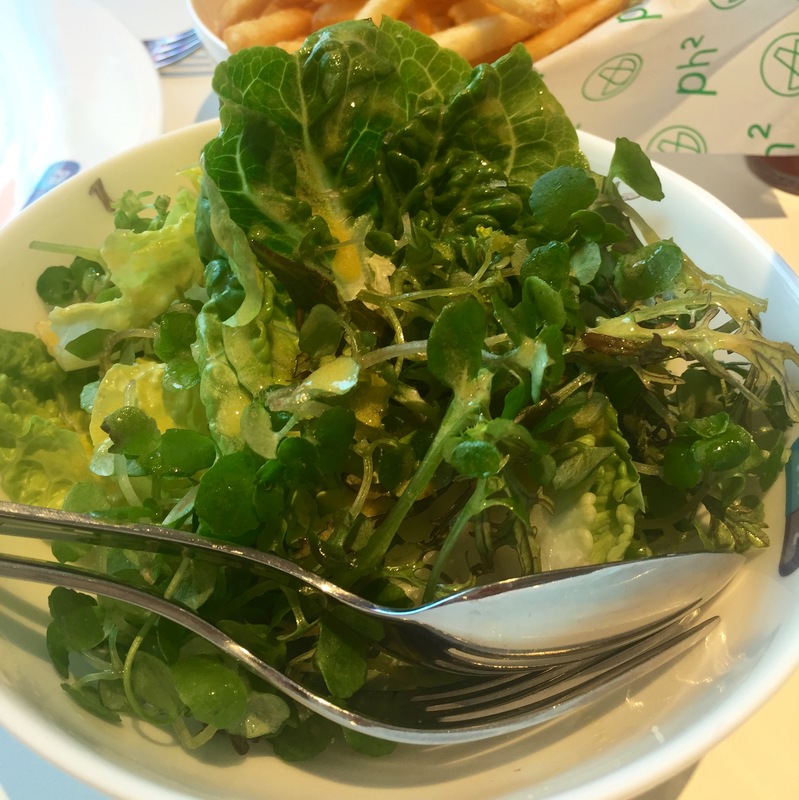 Lettuce heart and wild herb salad was lightly dressed and made a great partner to the tartare. 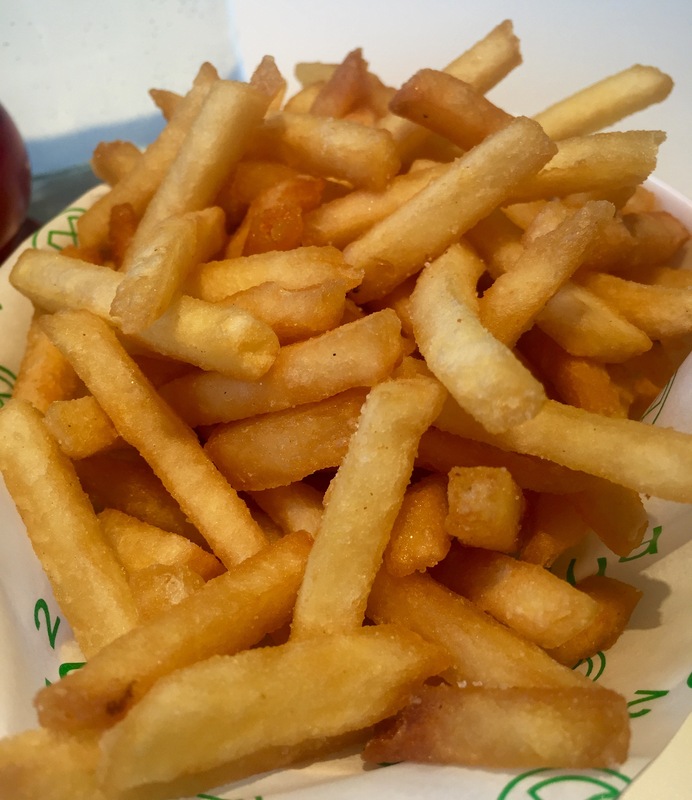 And then of course you have to have fries to make up the trio. Great fries they were, too. And here’s a shot of the contemporary space looking towards the bar, love the counter and its colourful drug decor. The Newport Gallery is still closed for installation – it’s where you’ll ultimately be able to see Hirst’s art collection. And viewing art can be hungry work, you may well have to climb the stairs and head for some much-needed refreshment. Pharmacy is at Newport Street, SE11. Vauxhall is the closest station. What a great blog. I wish I lived in London. Great writeup. A restaurant with alternate decor.